This 2004 Challenger Offshore DDC SV-33 w/ Custom Center Console and bow cabin, features a patented Duo-Delta Conic hull that provides an unbelievably smooth ride in rough water. Designed and engineered to be rugged, beautiful, functional and family friendly, this model features encapsulated stringers and bulkheads. Solid offshore engine cradle mounts have been designed to reduce stress on the transom.This 33' Challenger Performance Boat is the definition of Summer fun. 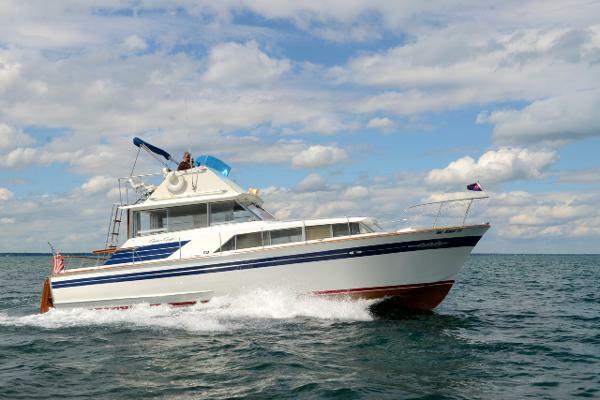 Features include: Twin Marine Power engines with less than 200 hours on them, motors rated at 350+ HP each, Livorsi Premium Throttle/Shift Controls, recently upholstered seats w/ HDPE Marine Board, Center Console, Custom Tee-Top w/ LED lights and fishing pole holders, cuddy cabin w/ cabin lighting, porta-potty, hydraulic engine hatch, Pulse Drive w/ twin custom props, twin 3 speed inboard transmissions, AM/FM/CD Stereo w/ USB and IPOD Interface, 5 channel Kicker amplifier and (4) 6.5 inch speakers, 2004 Bullet Custom Aluminum I-Beam Dual Axle Trailer w/ brakes, spare set of aluminum rims, 10+ life jackets, ropes, and anchors, etc.Perfect for cruising, entertaining, or speeding away in open waters. 2003 Challenger Offshore SV-30 Offshore Open Bow 2003 Challenger SV30 Open Bow, Twin Mercury 350 EFI (260 hp - 340 hours - 60 mph), Bravo I drives, Bravo I 22 pitch props, rear ladder, dual ram trim tabs with indicators, electric engine hatch, dual battery with switch, cockpit carpet, drop down bolster seats, VHF radio, Clarion CD player, new full cover. Prestige triple axle trailer included. 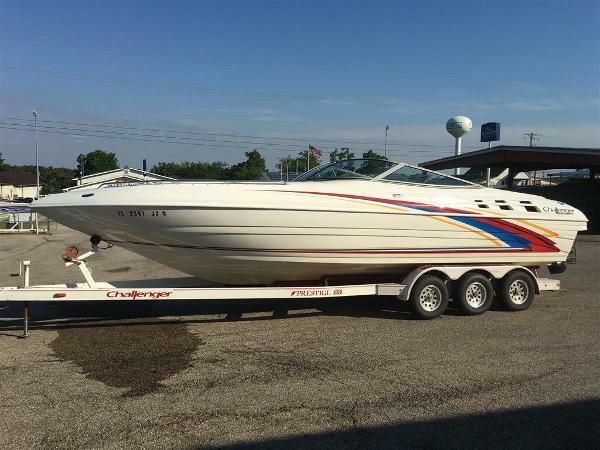 1996 SKI CHALLENGER 2180SC Wakeboard boat. 21 ft. Wakeboard tower. 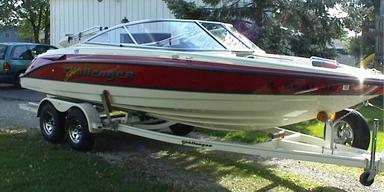 MerCruiser Magnum 350 Tournament ski. Thru-hull exhaust. Alot of storage under the seats. JVC stereo. Bimini top. 21xx bower rider. Shower. Asking $13000, Located in BRIMFIELD IL 61517, Contact Robert at 309-446-9243 for more information. 1997 Seadoo Challenger 1997 Seadoo Challenger rotax 787 110 HP Lot's of fun with still plenty of time to enjoy this JetBoat. The boat is in great shape and used only in fresh water. Starts up every time and runs great. Impeller is in almost perfect shape. Trailer has brand new tires with less that 100 miles on them. All lights on boat and trailer are in working condition. Ohio Watercraft sticker is good until 2018. Title in hand for boat and trailer.New Parts Replaced this season: Battery Wear Ring Spark Plugs Rave Valve Fuel Switch Exhaust Gasket Fuel Filter Interior Engine replaced in 2010 Replaced exhaust pipe casting plugs with thicker plugs. (This is a $350 job with invoice included from Power Sports of Cleveland. Most Seadoos come with the original casting plugs that are corroded and will leak water into the bilge). 1965 Chris Craft 36 Challenger PRICE REDUCED FOR IMMEDIATE SALE -- ALL REASONABLE OFFERS WILL BE CONSIDERED!. BOAT-HOUSE KEPT YEAR ROUND AND SHOWING IN ABSOLUTLEY EXQUISITE CONDITION, THIS 1965 CHRIS-CRAFT 36 CHALLENGER IS A MUST SEE -- PLEASE VIEW FULL SPECS FOR COMPLETE LISTING DETAILS. LOW INTEREST EXTENDED TERM FINANCING AVAILABLE -- CALL OR EMAIL OUR SALES OFFICE FOR DETAILS. #1 BEST OWNER RESTORED BOAT IN SHOW OUT OF 107-BOATS @ ALGONAC MICHIGAN ANTIQUE BOAT SHOW 08-2009! Freshwater / Great Lakes boat since new this vessel features Twin 350-cid 250-hp Gas Engine's with 380 hours (Engine's Replaced @ 1,000 Hours). Notable features include but are not limited to the following: Air-Conditioning & Heat, Head (Macerator) w/Vanity/Sink/Shower, Sleeping Accomodations for Four, Onan Generator, AM/FM Stereo System w/CD-Player, LCD Television w/DVD Player, and MUCH more. Broker Notes: Overall appearance is in above average condition. Exterior paint / brightwork is in exceptional condition. Note Awl-grip paint & varnish (exterior). Photos do not do this one any justice! Interior Carpeting is newer. Bilges are clean and appear very well maintained. Pride of ownership shows throughout. 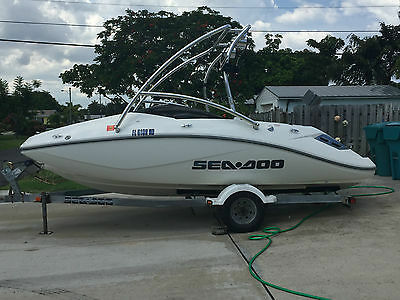 2006 Sea Doo Challenger 180 Jet Boat Boat does have some scratches on it but this is from wear and tear Lots of Upgrades from Stock - Comes with Karavan Trailer! 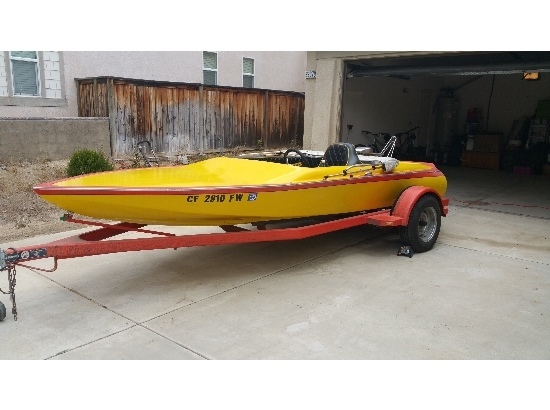 Completely Rebuilt Motor - $4250.00 Brand New ECU - $1400 Aftermarket Wakeboarding Tower with Speakers - $1500 Installed Upgraded Sound System With Two Amps and 4 Speakers and a 10" Subwoofer - $1200 New Springs and Fenders on the Trailer - $250 HydroTurf Foam for the SeaDeck - $350 Second Battery Added for Stereo - $350 Dual Bank Battery Charger - $200 TOTAL UPGRADES - $9500 I'm going to lose a lot of money and time invested in this boat! But your loss is my gain! Family had a baby and need to part ways with the boat! Boat is located in Boynton Beach, FL... Please Call 561-299-8122, to come and check it out! 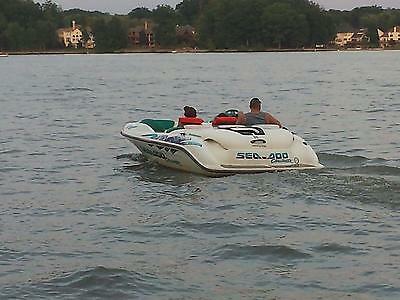 Great Starter Boat or for any Sea Doo Enthuthiast!